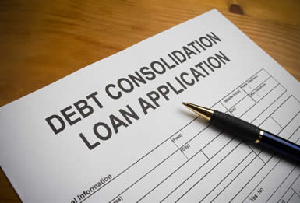 The term “Debt Consolidation Loan” is one of the most familiar to people when they think of getting out of debt. 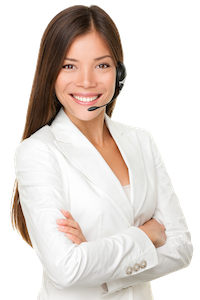 Unfortunately almost anyone who gets a debt consolidation loan finds themselves in much deeper financial trouble than they were in to begin with. It is nearly impossible to borrow your way out of debt when you have bad credit. Debt consolidation loans pool all your debt into one large debt. The new loan may or may not lower your monthly payments, but a debt consolidation loan will not reduce the amount you owe, in fact because the overall interest rate is much higher, it will cost you more. Usually if the payments seem slightly lower it’s because the new loan is amortized over a longer period of time. It’s rare to have found someone with bad credit who has solved their debt problems by borrowing new money. With a debt consolidation loan you pay back 100% of the loan, plus interest. The interest rate is usually much higher than before, but this is because debt consolidation loans are considered a higher risk to default, and as a result the lender can usually charge around 35% interest. It is possible to get a lower interest rate but you will need a co-signer and/or collateral to achieve this. Sometimes you can create more problems for yourself by putting your personal property or relationships with family at risk; thus creating an even bigger problem than you had to begin with. Total Debt Freedom believes the best solution is to deal with serious debt problems is through the settlement of debts, not a new debt consolidation loan. This way you are dealing directly with the problem rather then creating new ones. Debt consolidation loans at 35% interest are a lucrative business for lenders and can be obscenely profitable. We suggest staying well clear of expensive loans. The only time you should consolidate debt is long before your credit goes bad. But once your bank turns you down, debt consolidation can be an expensive and almost impossible route to getting out of debt.